The Land of Smiles (German: Das Land des Lächelns) is a romantic operetta in three acts by Franz Lehár. The German language libretto was by Ludwig Herzer [de] and Fritz Löhner-Beda. The performance time is about 100 minutes. Lavishly produced, the show was built largely around the performance of the tenor Richard Tauber, a close friend of Lehár, for whom he customarily wrote a Tauberlied – a signature tune exploiting the exceptional qualities of his voice – in each of his later operettas. On this occasion it was "Dein ist mein ganzes Herz" ("You are my heart's delight"), probably the most famous of all the Tauberlieder. Tauber also appeared in the show in London, singing many encores of his song. The work was originally produced under the title Die gelbe Jacke (The Yellow Jacket). This was presented at the Theater an der Wien, Vienna, on 9 February 1923 with Hubert Marischka as Sou-Chong. It was not a great success, and Lehár later revised it, under the new title of Das Land des Lächelns, which was first performed, at the Metropol Theater, Berlin, on 10 October 1929. Tauber reprised his role in London (1931 and 1932) South Africa (1939) and New York (1946), as well as in Vienna in 1930 (again at the Theater an der Wien) and in 1938 (at the Vienna State Opera and also in Prague). Tauber also sang it in London and on tour throughout Britain between 1940 and 1942. Sadler's Wells Opera produced it in London in the late 1950s, after the success of Lehár's The Merry Widow starring June Bronhill had rescued the company from bankruptcy. Starring Charles Craig, Elizabeth Fretwell and Bronhill, the show did not attract the same audiences as The Merry Widow. The operetta was adapted into film several times. The Land of Smiles (1930) directed by Max Reichmann and starring Richard Tauber. Hella Kürty and Willi Stettner reprised their original stage roles of Mi and Gustl, while Lisa was sung by Margit Suchy, replacing Vera Schwarz who had sung in the original Berlin stage production. The Land of Smiles (1952) directed by Hans Deppe and Erik Ode and starring Mártha Eggerth and Jan Kiepura. In 1961, Gerhard Riedmann appeared in a television film where his singing voice was supplied by Fritz Wunderlich. Another television version was filmed in 1974 with René Kollo, Dagmar Koller, Heinz Zednik, directed by Arthur Maria Rabenalt. A version for Australian television aired in 1962. 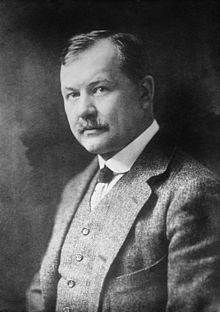 There are also extracts in Franz Lehár Conducts Richard Tauber (1929–1931), with 6 tracks performed by Richard Tauber (Sou-Chong), Vera Schwarz (Lisa) and the Berlin State Opera Orchestra (Pearl CD). Wikimedia Commons has media related to The Land of Smiles. This page was last edited on 16 March 2019, at 14:57 (UTC).